Dressing well is important for any man today. It communicates value in many ways and it also contributes towards your self-image. Perhaps one of the most stylish clothing today for men would be the black blazer. And as we all know, how to wear a black blazer correctly can be tricky at times. This type of clothing is stylish, classic and it also does well to enhance most conventional outfits. While blazers are very dynamic forms of clothing, you still need to make informed choices when you want to combine them with your outfits. In fact, you might have to consider planning what you will wear along with your black jacket. Whether it’s the perfect shoes, pants or even shirt, we shall identify some of the best techniques to achieve your goals. 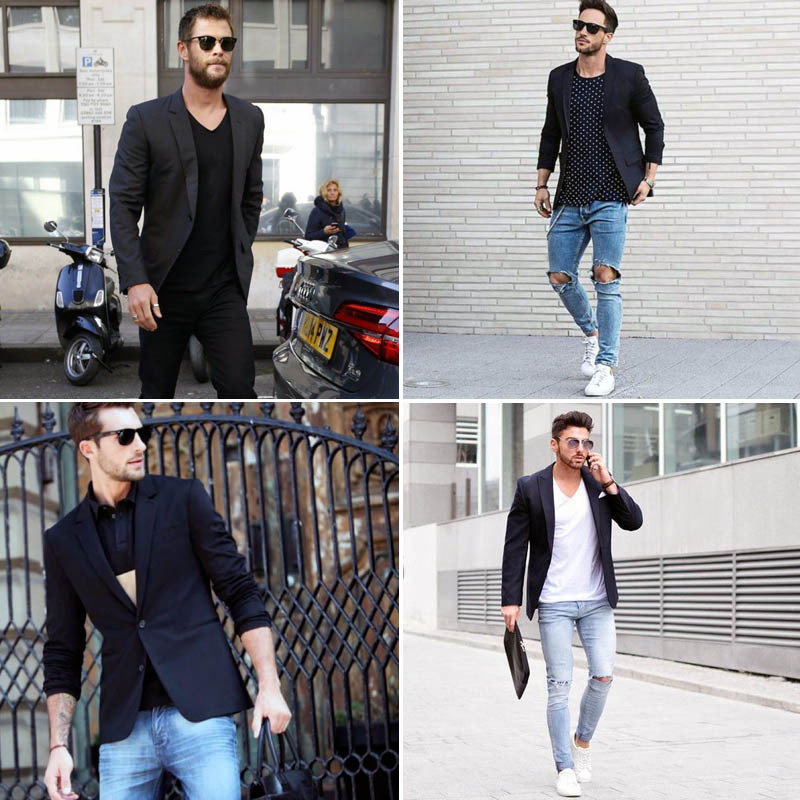 Below are some of some useful tips on how to wear a black blazer. Before you decide on what to wear with a black blazer, it’s important to first consider the occasion, the season and then blazer’s look and feel (vis-a-vis “style”). 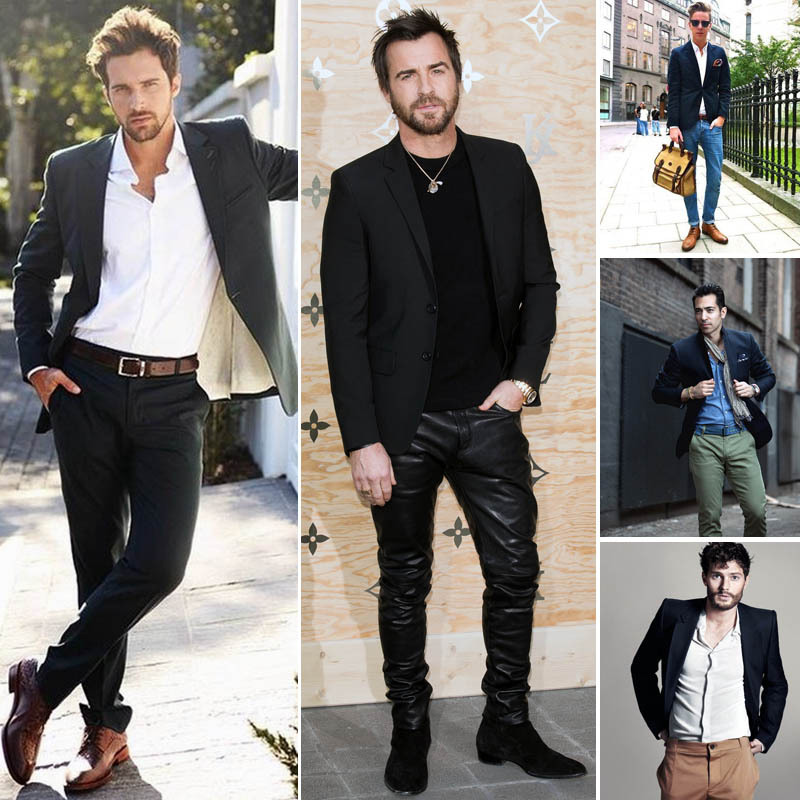 The choice on what to combine with your black blazer will often be influenced by some few key factors. For instance, what you plan to wear the garment you want to combine with your blazer along with the blazers design as well. Its important to note that the consumer market is filled with various options when it comes to black blazers. As a result, ensure that you are informed about all the useful details about the blazer. For instance, a fully lined and structured blazer is ideal for professional occasions. On the other hand, the unlined and casual blazes are ideal for informal events. Being aware of these differences is crucial in choosing the ideal undergarment to combine with your blazer. Since blazers are timeless and very dynamic types of garment, they often make up for an excellent addition to any man’s wardrobe. Whether you want a jacket for casual occasions, or you want one for a professional event, you are simply spoilt for choice. Equipped with the perfect blazer, the next step is to invest in the appropriate garments to combine with your blaze. For instance, if you want to appear sleek and professional, or casual and laid back, remember to consider these factors when choosing. 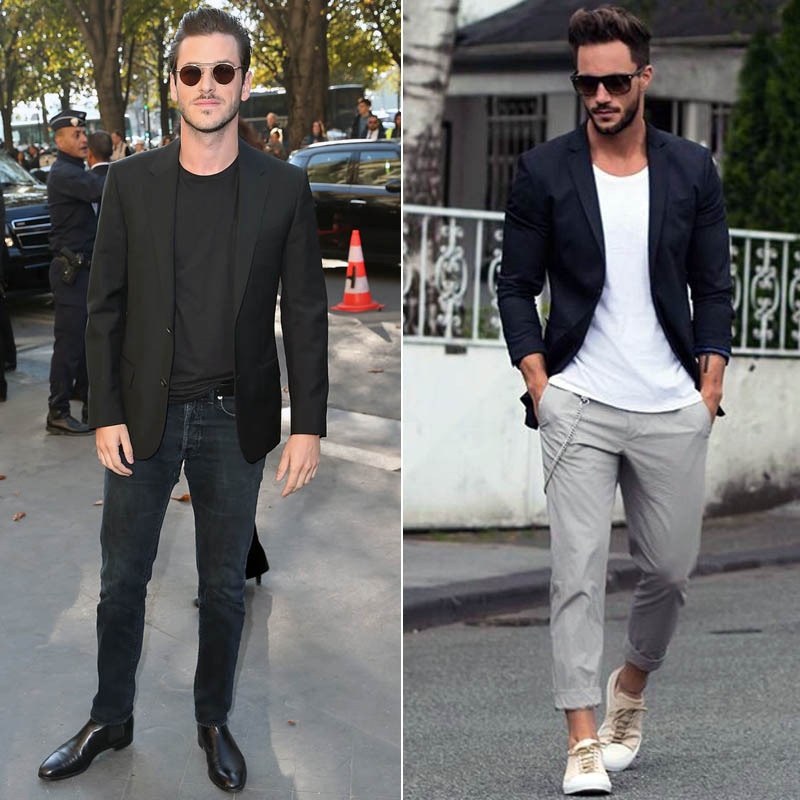 If you still are unsure at this point, then consider the following for black blazer outfits. 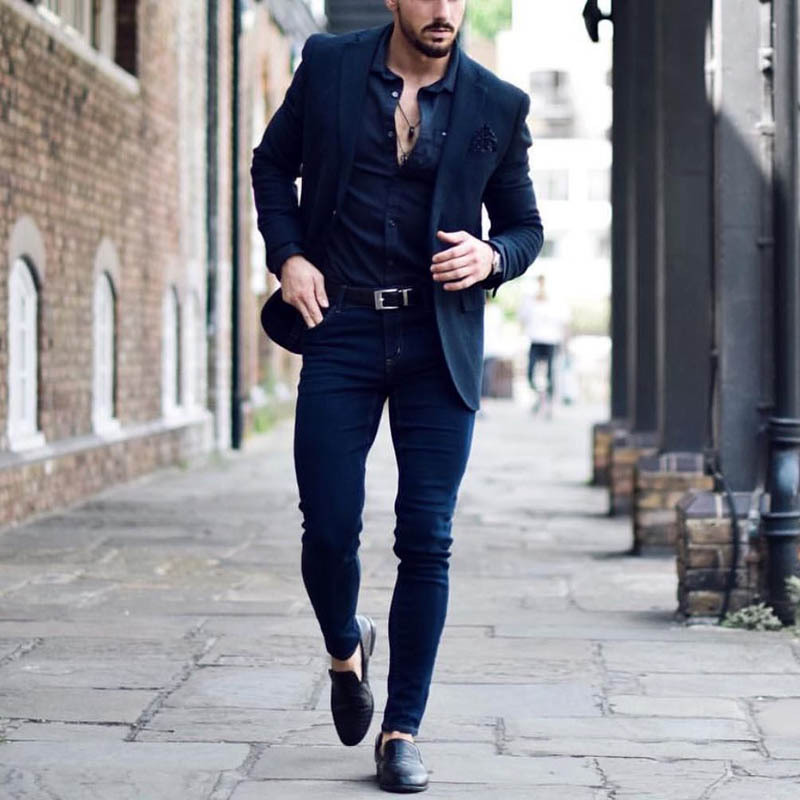 Whether you’re heading into the city for a day or out to a bar at night, a black blazer with jeans is an excellent outfit to rock. The combination is both relaxed and sharp, making it ideal for any time of day. 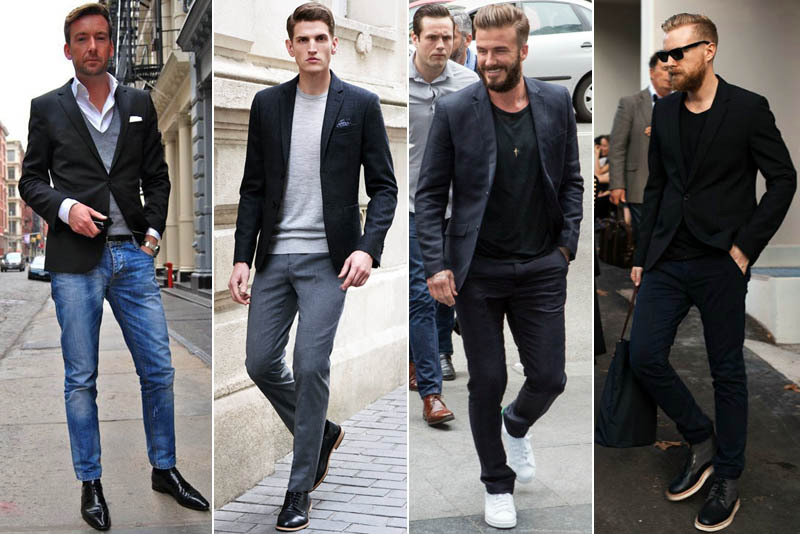 So, if you’ve only ever worn your blazer with trousers, it’s time to give denim a go. To wear the look in style, just remember to keep things simple and contemporary. A monochromatic color palette will keep your outfit dapper while skinny jeans will ensure that it’s sleek and modern. To finish your look with the perfect balance of sophistication and nonchalance, opt for a casual T-shirt and dress shoes. By learning how to wear a black blazer, you have one of the most versatile pieces of men’s clothing on the consumer market. Although the tailored jacket is ideal for professional events, it can also provide an appealing and casual style to your dressing. 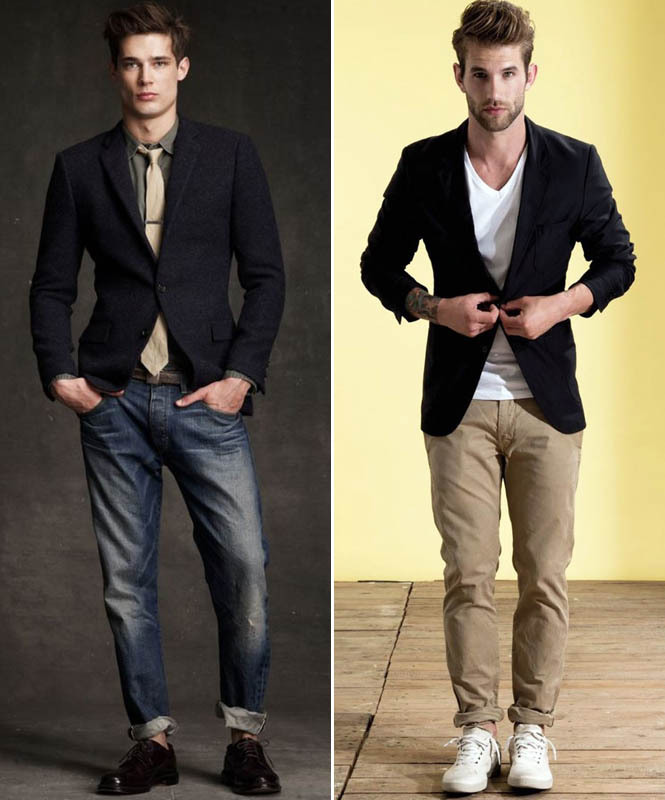 In this case, consider going for the khaki pants because they are very simple and dapper at the same time. As a result, this makes it an excellent combination of an assortment of both casual and professional events. You can complement this look with black derby shoes or perhaps with a white shirt. If you still in search for the perfect black blazer, ensure that you also take a look at sports jacket (a.k.a sports coat). To be specific, a black sports jacket does well to compliment any stylish man`s wardrobe. It’s also the perfect alternative to a blazer. 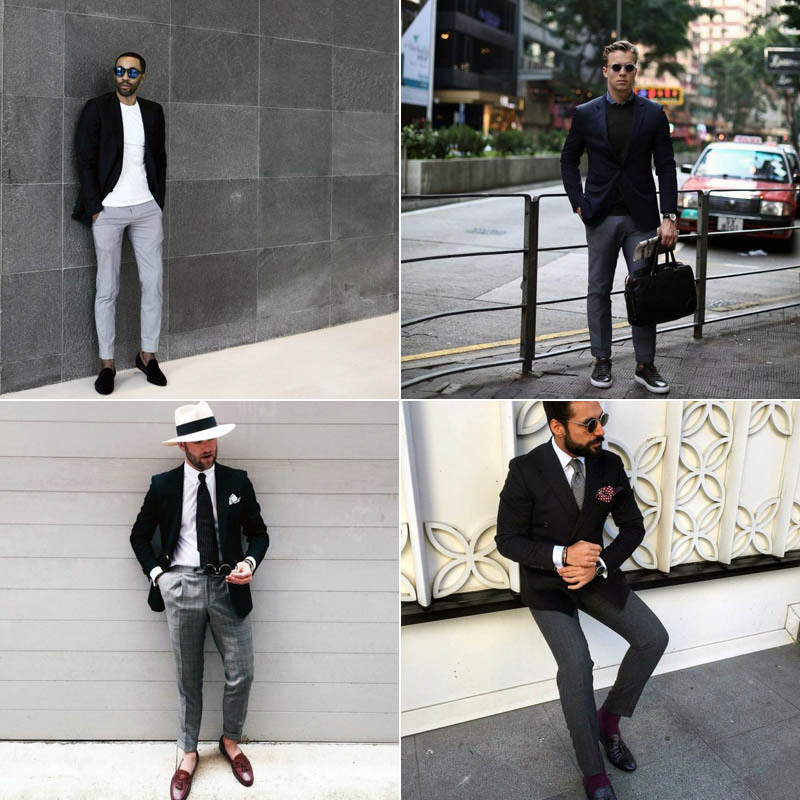 Although it has a similar design to that of a blazer, the sports jackets tend to be more casual and designed to provide a loose fit on the body. In this case, they are only ideal for informal events and for projecting a laid-back demeanor. The added benefit is that these jackets often have extra room, which you can fit thick items such as jumpers. Try this combination during the weekends. Combine a black sport jacket with a dark blue turtleneck sweater and with black chinos. For those who want a black blazer for professional events, consider paring your blazer with black pants and a blue shirt. This choice of color is very masculine and vibrant at the same time. You can complement this look by investing in designer shades to improve the look. Consider investing in pants that match the color of your blazer. This will provide a collected and unique appearance. At the same time, the color tones are also modern and communicates masculinity very well. If you prefer pants that have a different black from your blazer, then consider investing in a pair that is few shades darker or lighter. This will help provide an improved a focal point and it also reduces the likelihood of color clashing side effects. 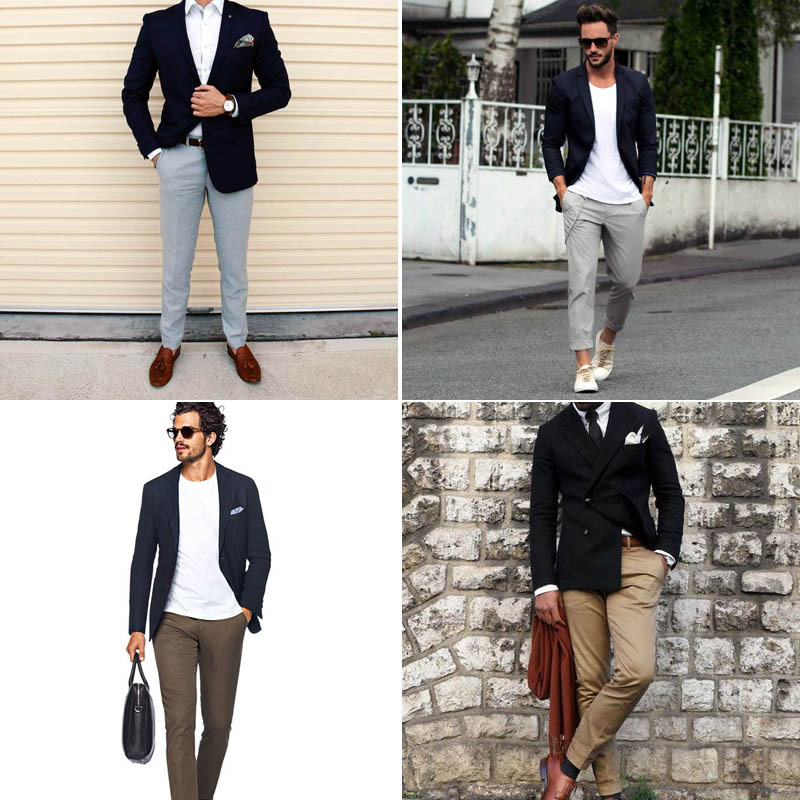 If you want a practical yet trendy combination, then consider paring your newly chosen blazer with some grey pants. This combination is ideal for formal occasions and also the perfect option for the conventional suits. This might include a white tie, black formal shoes and a black dress shoes. If you want to enhance the casual appeal, go for grey chinos or even opt for trousers made of wool. Furthermore, you might also consider letting go of the tie and white shirt. The perfect substitute would be a polo shirt.